What do you want to achieve as a photographer? Home / Photography Tips / What Do You Want From Your Photography? Ability to shoot perfect images instinctively? Everyone agrees it's not the camera that takes the photo - it's you. So if you're a little disappointed with your images, does the issue lay with your camera? Or is it with what you're doing with your camera? Everything we do begins with our thoughts. It could be spur of the moment like, "That's pretty - I'll take a photo of it." To "I want to shoot some portraits of my family." Or "I want to go on a photo holiday somewhere breathtaking and photograph it." As you raise the camera to your eye you'll be considering composition and the settings to use. So if you are not thinking like a photographer how can you expect to capture those exciting images you crave? These are real kids fresh home from school - not models or actors. It took 30 minutes to plan before the kids arrived. For it to work it had to BE a real kids party for them. The shot had to be ready for them before they arrived - composed, focal length set, light managed, exposure ready, depth of field and where to focus etc. The point is, both images followed a brief. In these cases, from the client. 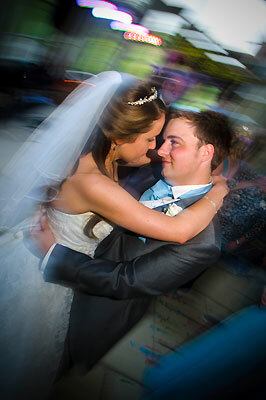 If shooting a wedding or scene the brief is made up on the spur of the moment. Like when Elliot and Emma had their first dance a couple of weeks ago. Eye catching - so where's the view point going to be? Ever noticed how magicians say. "What you are about to see is not magic - it's an illusion." Then they pull car from a walnut and turn an elephant into a tennis racket. When you know what the photographer knows, a second curtain rear sync flash and ambient light exposure / composition like the wedding dance above are easy. Your next step in creating and enrolling people in your photography is to think like a photographer. 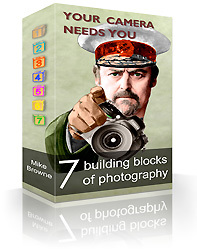 If you don't know how to do that yet invest £77.77 in The 7 Building Blocks of Photography, 7 week downloadable course. 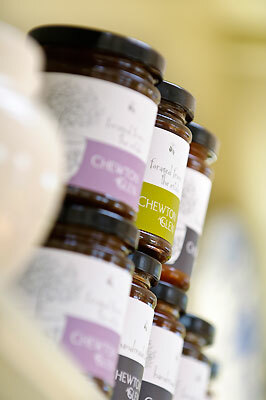 You have several hundred £s worth of camera equipment so why wouldn't you want to get the most out of it - and yourself? Wouldn't you love to be able to see it in your minds eye - and make it happen. Seamlessly, effortlessly and quickly. There's no risk. If after completing the course you can honestly say it was no good I'll refund you in full. No hard feelings. You can keep the knowledge you've gained as a bonus. But I know you will get loads from it. I guarantee it. Thanks for another week following your advice, going through the videos and worksheets. Enjoying the course, money well spent. A great addition to your free videos.